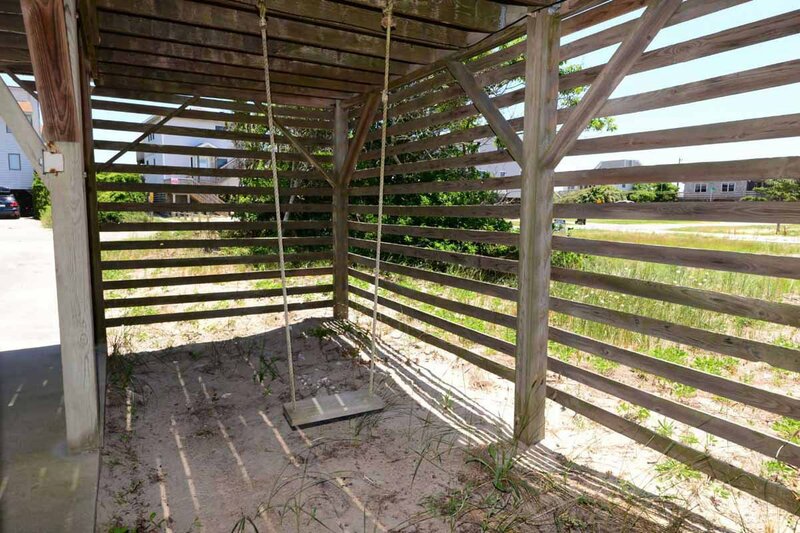 This traditional beach cottage is located Oceanside w/the Beach just a short walk away (approximately 300 feet to beach). A basic, older home that is great for small families. 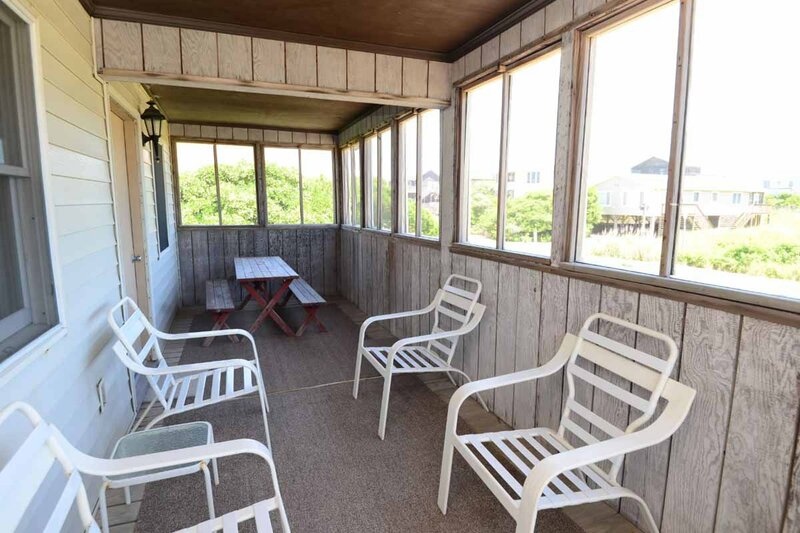 South Nags Head offers a quiet & peaceful atmosphere & is convenient to Oregon Inlet, the Cape Hatteras National Seashore, Manteo & the great shopping & restaurants in Nags Head. Ground Level: Parking for 2 Cars, Steps to Entry, & Enclosed Outside Shower. 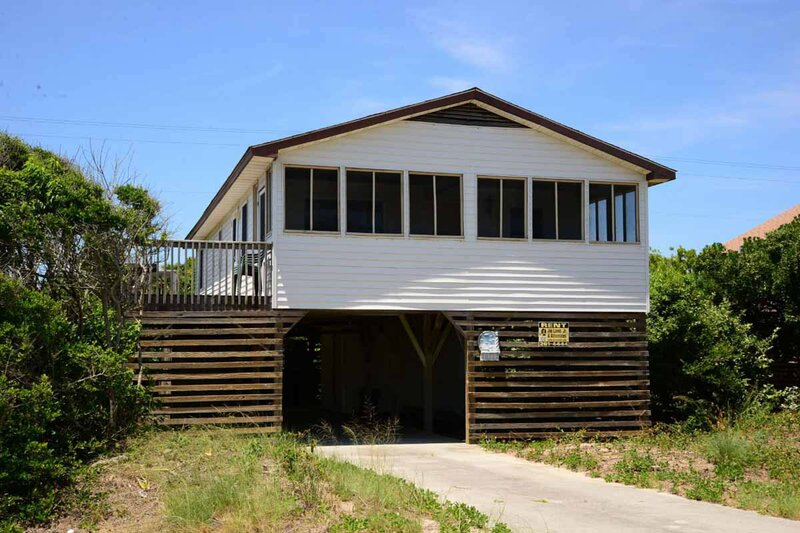 Main Level: Open Living/Dining/Kitchen Area, TV, 3 Bedrooms (1 w/ Queen, 1 w/ Double & 1 w/2 Singles), 2 Full Baths, Screen Porch w/Furniture & Picnic Table, & Sun Deck w/Built-In Benches & Horizon Ocean Views. 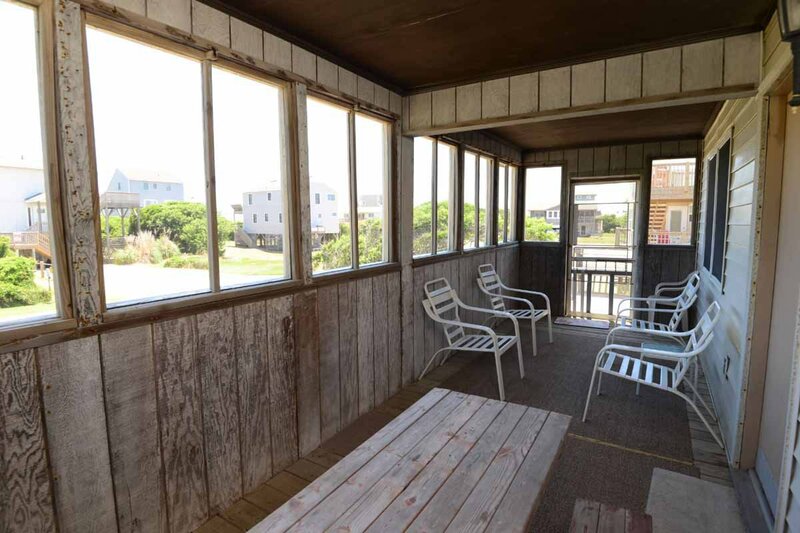 Features include: C/AC & Heat, Washer/Dryer, Dishwasher, Microwave, Phone, & DishTV. No Pets. This is a Non-Smoking Unit. As far a the home goes in general, it is a great little house to stay in and we love it! The underground parking is nice. The home itself is very homey and well cared for and comfortable. It is a very clean home and we love going there. Also, the neighbors are very nice. The division is quiet. I really like this home and would definitely stay in it again. The enclosed porch with the picnic table is a great place to eat when the weather permits. Overall we love the house.